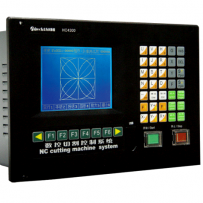 ADT-HC4300 is an economical plasma and flame cutting control system, it possesses very stable software and has been popular in the market for around 8 years. This control system has passed CE and ISO9001 certificates. It can be applied to portable plasma / flame cutting machines or small gantry cutting machines.